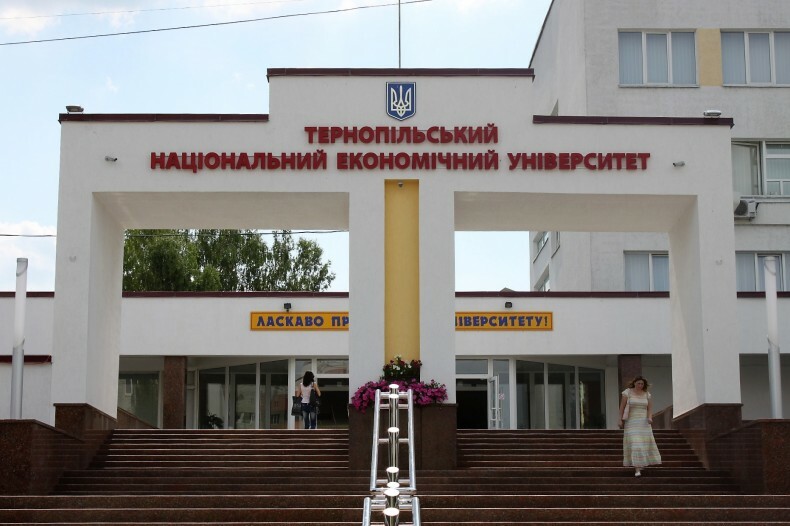 The analyst of the Ukrainian Helsinki Human Rights Union had presented the project at the Ternopil National Economic University. On October 5th, Andriy Halai, a representative of UHHRU Analytical Department, presented the results and prospects of “Human Rights Passportization of Regions” at the Faculty of Law at Ternopil National Economic University. During the visit, the University held meetings with scientists and executives of the faculty, local legal clinic and a presentation of law students. Andriy Halai placed emphasis on the fact that the interested persons and institutions will participate in the project as public monitors and analysts. Note: The project is implemented in cooperation with the Ukrainian Helsinki Human Rights Union and the Office of the Authorized Human Rights Representative of the Verkhovna Rada of Ukraine. The Human Rights in Action Project, which is implemented by the Ukrainian Helsinki Human Rights Union, is made possible by the generous support of the American people through the US Agency for International Development (USAID). The views and interpretations presented in this publication do not necessarily reflect the views of USAID or the US Government.